This unofficial “addendum” to the assessment by the U.S. 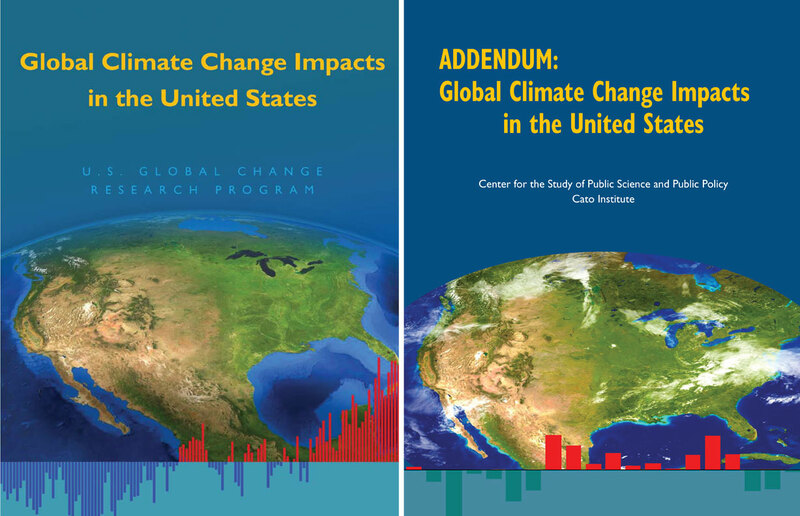 Climate Change Science Program (now the Global Change Research Program) on “Global Climate Change Impacts in the United States” was published by the Cato Institute in 2012. The Cato report was designed to be nearly identical to the government’s report, but the content is contradictory and contains many unsubstantiated conclusions on climate science. Despite being visually similar to the official report, many of the graphs and statistics used in the Cato addendum are made from selectively picking data to support their counterpoints to the government’s findings. The cover images of both reports show a satellite map of the United States overlaid by a temperature bar graph on the bottom. The graph on the original report shows noticeable increases in temperature overtime, but the Cato graph makes the variation seem random – this is because the graph on the original report is tracking change in global temperatures from 1900 through 2008, and the Cato graph shows only temperatures from the United States from 1991-2010. 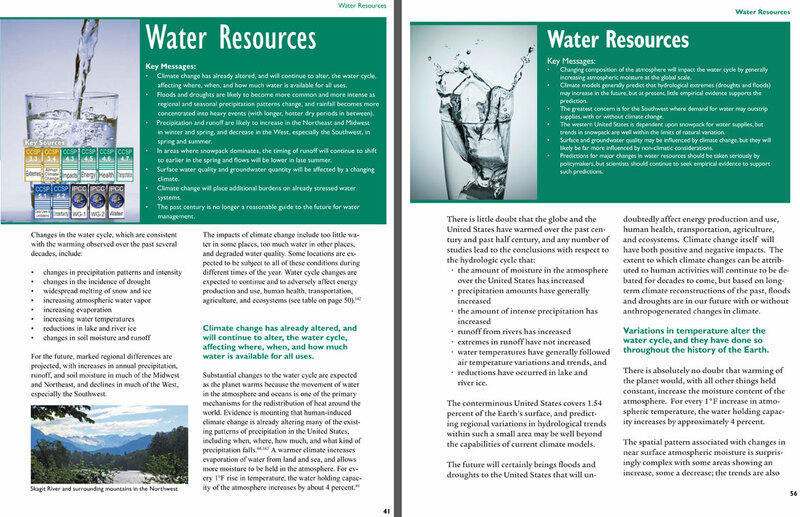 The release of the report drew backlash from the scientific community, with some calling it “a counterfeit” designed to intentionally mislead policy makers.